ISBN 1 904 109 136. 156mm x 234mm. 128 pages. The book is currently out of print, but available as a PDF download for £4.99. Click the Buy Now button to pay via Paypal. A state of anarchy terrorises Sussex and Kent. Panic-stricken landowners cower behind bolted doors. as farm machinery is smashed to smithereens. threatening to roast them alive in their beds. 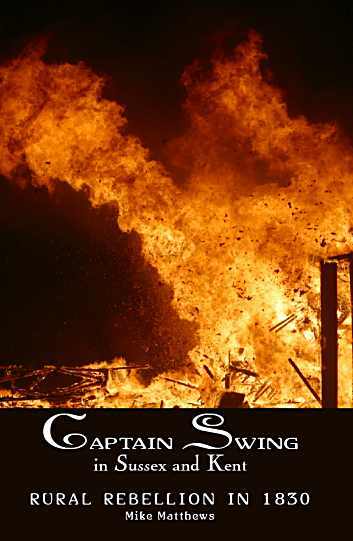 Captain Swing — Wanted: Dead or Alive!